End of tenancy and in need of a move out cleaning? Moving out of your home or apartment is a stressful and overwhelming job. It doesn’t matter if you own or rent your home, we know how important for you is to have the property professionally cleaned and checked after moving out or before moving in. We are a professional Vancouver cleaning company and we will take care of the thorough, deep cleaning that’s necessary to make your home sparkle. Our move-out / Move-in cleaning service includes everything that’s offered in our cleaning service, plus we do a deep cleaning of your stove, oven, refrigerator, cabinets, ceiling fans, drawers and any custom cleaning requests you might have to please landlords or new home buyers. Whatever your cleaning needs may be, whether it’s your home, office, condo, or apartment, we’re the right solution for you the first time, every time! We offer a 100% satisfaction guarantee. 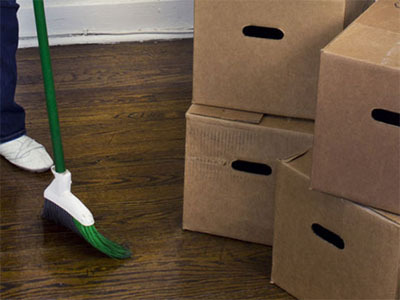 You’ll never find a move-out cleaning team more dedicated to meeting your standards in greater Vancouver than VanClean. You can depend on our quick and reliable deep cleaning services with as little as 24 hours notice. Call today or just fill out the following move out/move in form below for a free estimate and let us take care of your next cleaning. WE are specializes in move out (post tenancy, after tenancy, end of lease cleaning), move in (start of/beginning of tenancy) cleaning, carpet cleaning, construction cleaning, office cleaning, please fill out this form for a quick estimate.